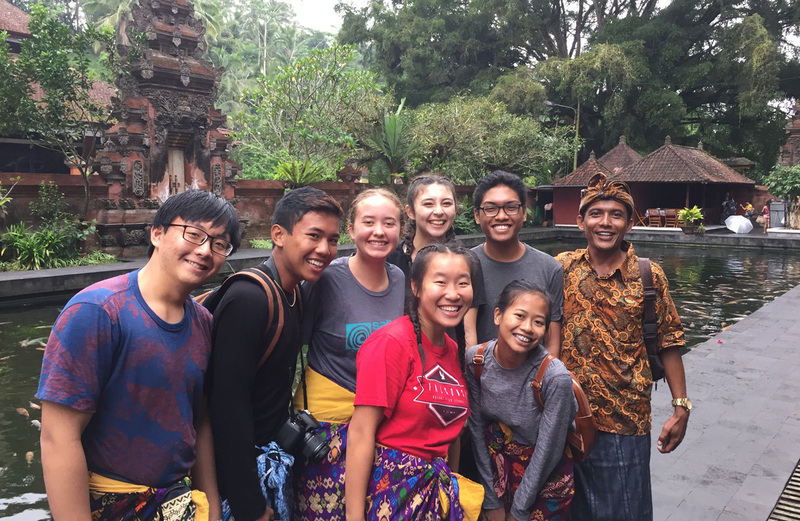 Spend 10 days in Bali, Indonesia on the trip of a lifetime to learn about environmental sustainability and community development. You will learn about the relationships between food, health and sustainability, discovering the ways you can make a difference and mālama ‘āina at home and abroad. Meet the founders of Earth Company and their globally renown “Impact Heroes”- activists at the forefront of tackling climate and health issues. Sightsee around Ubud — Bali’s cultural heart, and explore UNESCO World Heritage with beautiful rice terraces and Hindu water temples. Experience Balinese culture and try your hand at Balinese art, dance, cooking and yoga. You will even see a fiery Kecak dance show! Learn about permaculture, sustainable tourism and wildlife conservation by visiting local villages and enterprises such as Bali Life Foundation, Kopernik, Eco Bali, and Hubud. Learn more about our community partners below. Volunteer and help community projects for The Green School, the world’s most sustainable school. Questions? Contact Erica Nakanishi-Stanis, Study Tour Director, at paac@paachawaii.org, or (808) 944-7784. 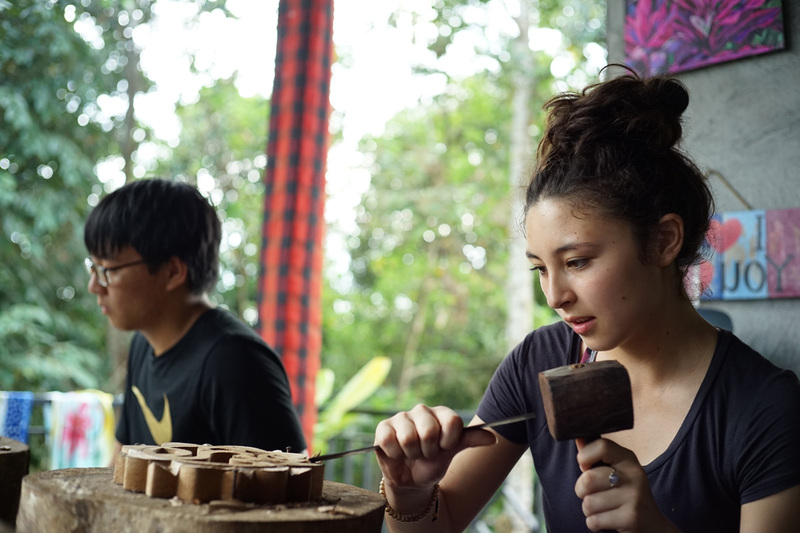 Earth Company: Earth Company’s workshops introduce the work of key Change Makers in Bali, inspiring students to think deeply about the impact just one person can have and the importance of taking action. The sessions will help students build awareness about their roles as leaders through team-building exercises and hikes that take place against the backdrop of Bali’s incredible natural landscapes. The Five Pillar Foundation: The Five Pillar Foundation partners with local villages to promote the work of local entrepreneurs and leaders through community based eco-tourism. Their sessions with participants will include an immersion into local Balinese village traditions and customs and also wildlife and environmental conservation, including how to care for mangroves, turtles, endangered birds, and reptiles. The Green School: PAAC students will go on a tour of the breathtaking campus of the Green School, known as the greenest school on earth as well as a tour of their community-farm, the Kul-Kul Farm. Students will have a chance to see how the Green School educates on sustainability through community-integrated, entrepreneurial learning in a natural environment.